Connor and Mommy have been doing the summer reading program through the library and have gotten three free books so far. For every twenty books Connor reads, he gets a free one. 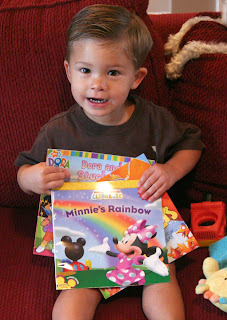 He loves his books, especially ones about trucks, diggers, animals, and potty.